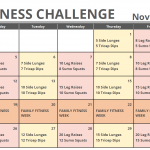 Our October Fitness Challenge Calendar is here! 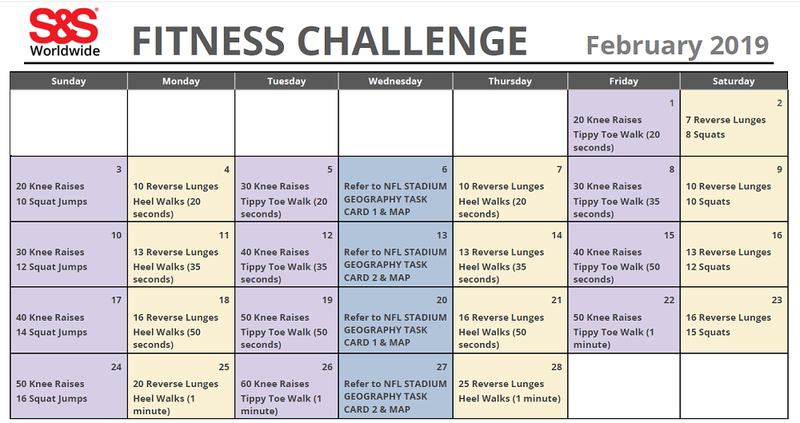 Students are challenged each day to participate in the activities listed on the calendar. For the month of October, we’ve included some basic fitness exercises, Math themed brain boost breaks, and activities that kids can do at home with family and friends. 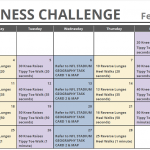 Each week, the number of repetitions for each fitness exercise increases. Please keep in mind the number of repetitions is meant as a guide, and can be adapted as needed based on age group and skill level. On Saturdays, we encourage some outdoor activities to keep kids active over the weekend. Depending on where you live and the seasons you have, you can adapt these ideas. 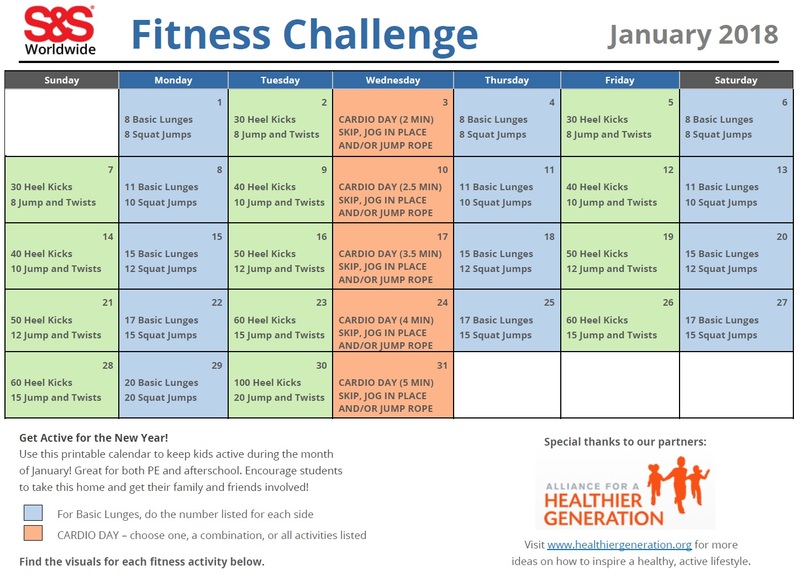 For this month, we have included ideas like taking a hike up a small mountain, or playing a game of kickball. Squat Side Kicks: Stand with your feet parallel and shoulder width apart. Bend your knees and squat to a 90 degree angle, with your hands held out in front of you. Then stand back up and lift your right leg out to the side. Step your foot back to the shoulder width position and squat again. This time you will lift your left leg to the side. Speed Bag Punches: Raise your arms slightly below chin level and make sure your elbows are parallel to the ground. Make a fist, and alternate punching motions. You can also adjust the speed. Cross Jacks: This is like a typical jumping jack, but instead you will alternate crossing your left foot over your right foot each time you jump. You can also choose to alternate your arms as well. Skaters: Start with a squat, then jump sideways to the left and land on your left leg. Then bring your right leg behind your left ankle without letting it touch the ground. You can count this as one rep, or repeat with the other leg and have that count as one. As a fun break break in the middle of the week, we have included 3 Task Cards – Addition, Subtraction, and Multiplication. Students will solve the equations on the card, and the number they get as the solution will be the number of repetitions for the coresponding exercise. For example, if the equation is 2 + 5 = Lunges, they will do 7 Lunges. Every Wednesday you will refer to the Math Task Cards on pages 2 and 3 of the calendar download for a total of 15 ideas. You may decide to just focus on one card, or two, or use all three. You can also alternate in any way you’d like. This is a great way to combine Math and PE! 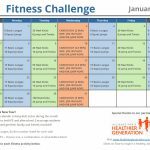 This entry was posted in Fitness Challenge Calendars, PE Central and tagged afterschool, Fitness Challenge, Fitness Challenge Calendar, October Fitness Calendar, PE Central, Physical Education, printable fitness calendar by S&S Worldwide. Bookmark the permalink. It looks great! 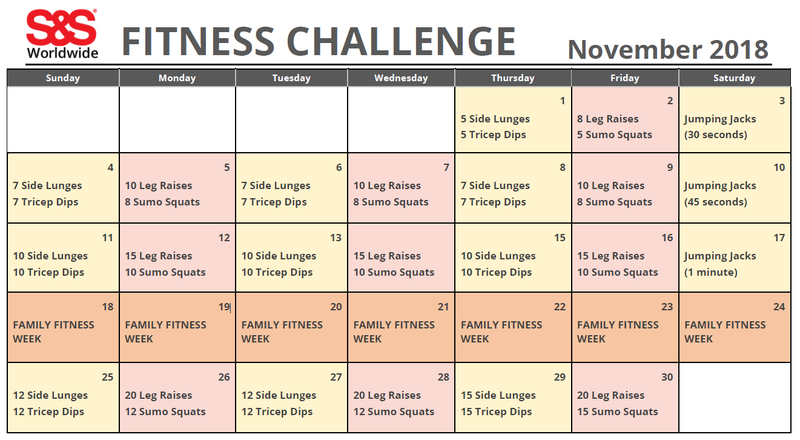 It’s too late for us to do the October challenge. Do you have November available yet? I can get them printed and ready to go. Can I please get an editable copy? Do you also have exercise descriptions for the Math task card activities for October? Looking forward to these activities to begin the Fall Fitness Program–mental as well as physical.